Thank you for supporting our 2019 Tournament. Check back in November for updated 2020 Challenge Cup information. For updated venue information, go to the INFORMATION tab on the top bar and then choose VENUES in the drop down menu. For IMPORTANT tournament news, please go to the TOURNAMENTS UPDATES page. The Concorde Fire Challenge Cup is one the of the nation's largest soccer tournaments for ages U8-U15, attracting nearly 450 teams nationwide. This highly competitive tournament is hosted by one of the nation’s premier soccer clubs, Concorde Fire Soccer Club. Please join us in Atlanta, Georgia on February 16-17, 2019 for the 29th Annual Challenge Cup! The Concorde Fire Challenge Cup is an Unrestricted tournament. All affiliations may apply. 2019 Concorde Fire Challenge Cup Tournament Apparel can be purchased on site. Shirts in a variety of styles will be available at each venue. Thank you for supporting the 2019 Challenge Cup tournament hosted by the Concorde Fire Soccer Club. Please visit the HOTELS TAB for more information on booking hotel rooms for the event. Important Guest Player information: Guest player name should be hand written on the bottom of your official state roster. Then add the player and jersey number to your tournament roster. All supporting documents for guest player are required - player pass, waiver, medical release. Questions about online check-in? File a help ticket on your "team tasks" page. Online Check-In is mandatory and must be completed by February 12th. 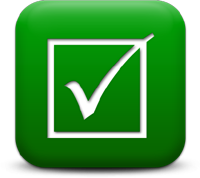 Teams must provide the required credentials to check in online prior to 2/12/2018. Any weather updates affecting the tournament schedule will be posted to the TOURNAMENT UPDATES page.